Ambaji known for its historical and mythological connections with sites of cultural heritage is located in Banaskantha district in the state of Gujarat, India. Ambaji is surrounded by Araveli Hill range. It is an important temple town with millions of devotees visiting the Ambaji temple every year. It is one of the 51 ancient Shakti Peetha Tirth in India. This is the principal shrine of a goddess who has been worshiped since the pre-Vedic period. The ecstatic festival of Navratri is celebrated all over Gujarat in reverence of Ambaji, by dancing garba around the Holy Mother. Rajmandir hotel, Ambaji welcomes you with cheery greetings, a friendly smile; we are indeed a home away from home, because we do care for you. Located in the heart of Ambaji,Hotel Rajmandir which brings the warmth of Indian hospitality, providing unmatched comfort and impeccable hospitality standards to its guests for a decade. 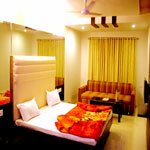 Newly renovated rooms and impeccable service is sure to leave you spellbound and provide you value for money. We strive to provide the best when it comes to giving our guests more than just a ‘stay’. Taxis, Jeeps and Buses can be hired for onward journey to Ambaji. 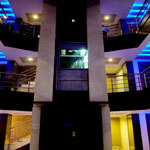 "Superb service by the hotel staff and management, all employees was very helpful and ready for any service any time. They suggested very good car rental along with polite driver named BANSI. If you ever go there you will be 100 % satisfied for the money you have spent. Excellent interior, very neat and clean rooms. I’m guaranteeing you as its value for money." 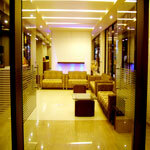 "We stayed in mid october during Navratri season, and i am glad about that. 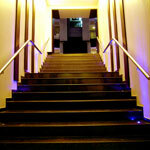 it was very busy and hotel being in the middle of the market, right beside the temple, was very lively and convenient. the rooms were clean and services were good. the hotel does not have restaurant though but the stay was worth the money"
"we had been two families who visited Ambaji on 7th and 8th November 2015.We had stayed in this hotel.The hotel was renovated almost five years back but still the interior is good. 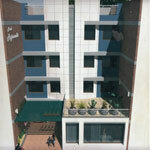 The location of the hotel is very convenient to visit the temple and have your breakfast or meals. (hardly 2 to 5 minutes walk to access all these). They also keep tickets of Udankhatola to visit Gabbar." 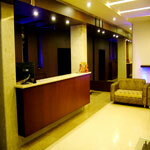 Overall a good Hotel in Town with all modern facilities. Nearest to the famous Ambaji temple.